What do you understand by the term Ionic Framework? An open source framework which is used for developing mobile applications is known as Ionic. For building mobile UI for the native look and feel, the tools and services are facilitated by Ionic. 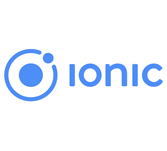 Ionic framework is a open-source SDK for developing hybrid mobile app development. A native wrapper is required for facilitating the Ionic framework on mobile devices. What are the prerequisites required and who are the audience for learning the concept of Ionic?